Sale Comments: A warm winters day greeted a large crowd of people from Vic, NSW and QLD to the 34th Annual Amos-Vale Bull Sale. The sale result was very pleasing considering the continued drought that is gripping the Eastern states. Bulls were sold into QLD and coastal NSW as well as some good local support which resulted in a near clearance of the sale draft and a very pleasing average. A big thank you to the buyers, under bidders and a special thanks to the many new buyers who invested in Amos-Vale genetics for the first time and we wish you all well with your purchases. 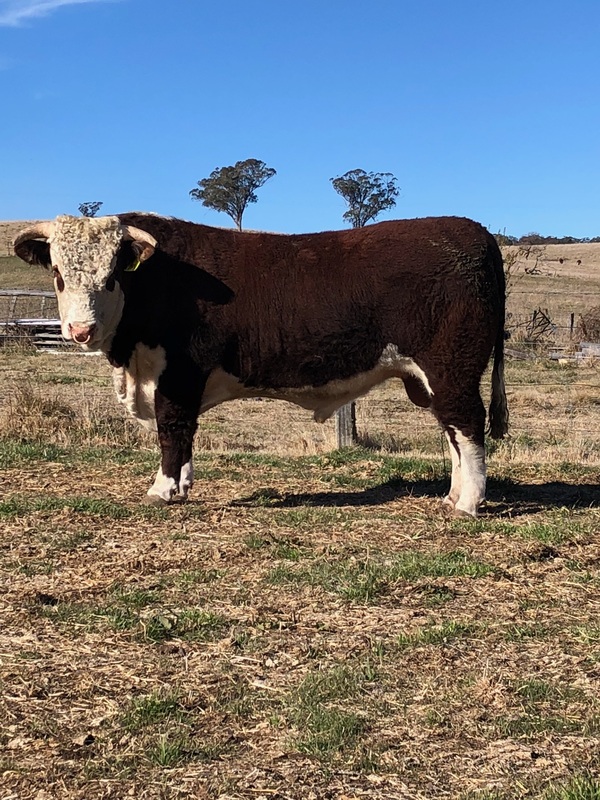 Amos-Vale Emperor M001 sold for the top price of $19,000 at the Amos-Vale Bull Sale.